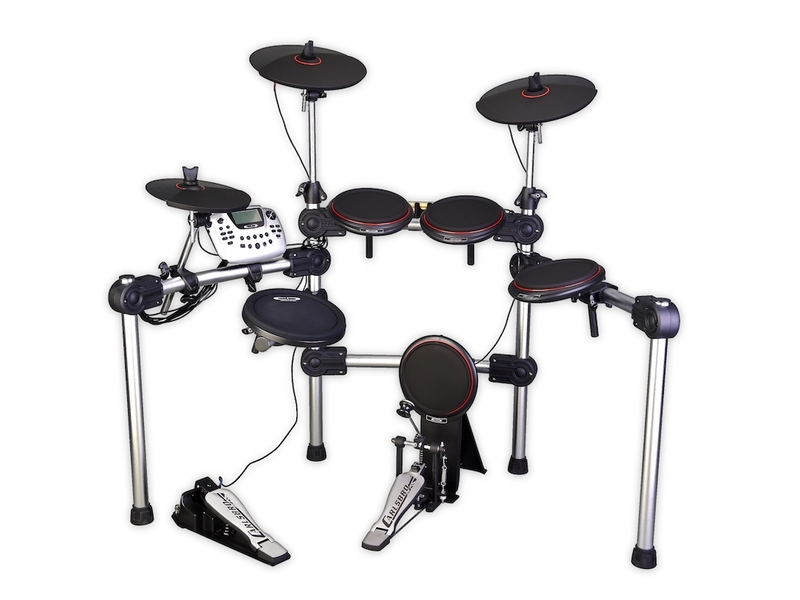 The Carlsbro CSD210 8-Piece Electronic Drum Kit features. 15 user drum kits, 26 preset drum kits, 458 quality percussion voices 3 band EQ, 3 ambiences and 2 reverb effect 20 Demo songs. Whether you require a kit for the Studio, Home practice or Live performances there are features in this kit for everybody and every Genre of Music This superb quality kits is without doubt the best value kit available in the market today and is quickly becoming the market leader within its price point. The “Real Feel” pads are extremely close to an acoustic kit, due to the specially selected Silica/rubber, chosen for all CDS models by professional drummers. 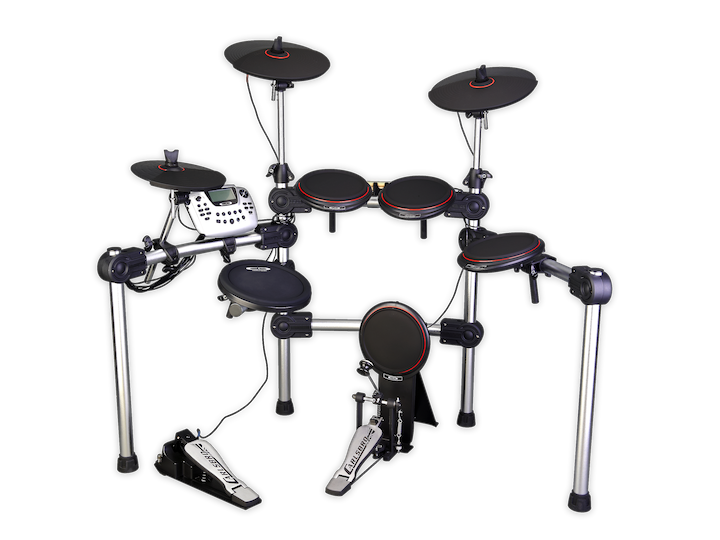 The frame is extremely sturdy suitable for all genres of music from jazz to death metal. Dual Zone on all pads allows rim shots and great sensitivity throughout. 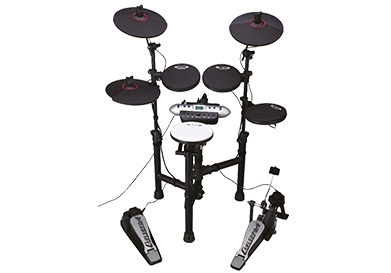 Dual zone chokeable cymbals and the ability to use double bass drum pedals on BD pads are great additional features . The cable loom is already threaded neatly inside the rack giving it a very sleek look whilst making it easy to assemble. The kits are available with Black pads or in White for drummers wishing to reflect the playing surface of the traditional acoustic kit. Perfect Kit for teaching studios with its record playback facility and ideal for student practice. Carlsbro headphones and EDA30 – 30 Watt, EDA50 – 50 Watt, and EDA200 – 200 Watt drum amplifiers are available for this kit and all the Carlsbro CSD range.